1.2 “Goods” means the articles which the Buyer agrees to buy from the Seller. 1.3 “Seller” means U Group Limited of 194 Waterloo Road, Yardley, Birmingham B25 8LD United Kingdom. 2.2 All orders for Goods shall be deemed to be an offer by the Buyer to purchase Goods pursuant to these conditions and the Buyer agrees and accepts that these conditions will apply to all contracts for the sale of Goods. 2.3 Any variation to these conditions (including any special terms and conditions agreed between the parties or added to the order form by the Buyer) shall be inapplicable unless agreed in writing by the Seller. 3.1 The price of the Goods shall be the price stipulated in the Sellers published price list current at the date of delivery of the Goods. All prices printed are current at the time of printing but are subject to alteration without notice. 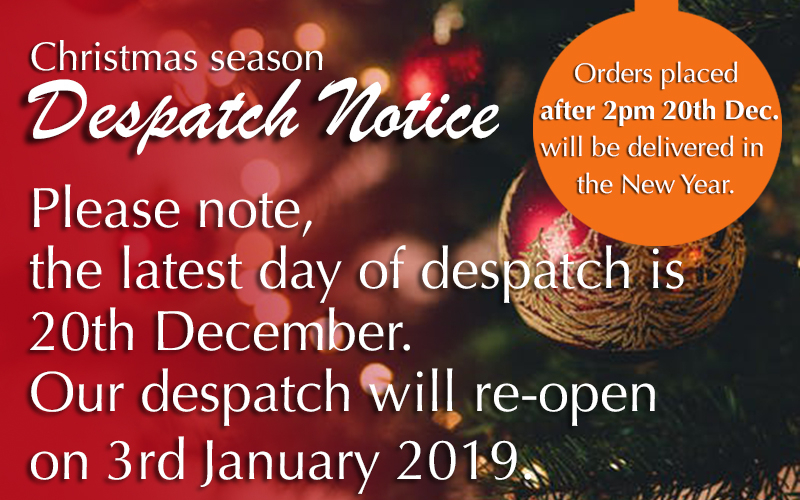 3.2 Payment of the price and VAT shall be due on the last working day of the month following the end of the month in which the Goods are delivered. Time for payment shall be of the essence. 3.3 The Seller reserves the right at all times to request payment be made by the Buyer before delivery of the Goods takes place. The Seller shall not be bound to deliver the Goods until the Buyer has paid for them. Time for payment shall be of the essence. 3.4 Interest on over due invoices shall accrue from the date when payment become due from day to day until the date of payment at a rate of 3% above the base rate of NatWest bank and shall accrue at such a rate after as well as before any judgment. 4.1 The description of the Goods shall be as set out in the Sellers catalogue and as featured on the Sellers website or as specified in writing to the Buyer by the Seller. 4.2 Where stock items are not available the Seller reserves the right to send an alternative product with similar specifications to that ordered by the Buyer. 5.1 Where the sale of Goods is made by sample all samples provided by the Seller to the Buyer are on a sale or return basis. 5.2 The bulk of the Goods sold by sample will correspond with the sample in quality provided that the Seller shall have no liability to the Buyer unless more that 5% of the Goods do not so correspond. 5.3 The Buyer shall be deemed to have a reasonable opportunity of comparing the bulk of any consignment of Goods with the sample after 2 days from the date of delivery. After this time the Buyer will be deemed to have accepted the bulk of the consignment of the Goods. 6.1 All implied terms, conditions and warranties relating to the quality and/or fitness for purpose of the Goods or any of the Goods are excluded to the fullest extent permitted by law. 7.1 Delivery of Goods shall be made to the Buyers address on the delivery date. The Buyer acknowledges that the delivery date is subject to the availability of the Goods and as such the Seller reserves the right to change the delivery date at any time without notice. The Seller shall not be liable for any loss or damage whatsoever due to failure by the Seller to deliver the Goods (or any of them) promptly or at all. Notwithstanding that the Seller may have delayed or failed to deliver the Goods (or any of them) promptly the Buyer shall be bound to accept delivery and pay for the Goods in full. Prices charged to the Buyer shall be the price current at the date of dispatch. 7.2 The Buyer must notify to the Seller any loss or damage to the Goods within 3 days of receipt and the Goods shall be held for inspection to enable a claim to be made on the carrier. The Buyer shall immediately notify the Seller if the Goods are not received within 3 days of the delivery date. Should the Buyer fail to comply with clause 7.2 the Buyer shall be deemed to have accepted the Goods free of defect. 8.1 Subject to the Sellers authorisation the Buyer may collect the Goods personally from the Sellers premises. In all situations the Buyer must give the Seller four working hours notice to collect the Goods and the Seller shall not be liable for any loss to the Buyer if the Goods are not available for collection by the Buyer upon giving such notice. If the Goods are not available for collection upon giving four working hours notice the Seller shall not have the right to terminate the contract. The Seller reserves the right to refuse any additional orders that the Buyer may make at the time of collection. 8.2 Where the Buyer requires the Goods to be delivered within the United Kingdom mainland the Seller shall pay the carriage costs for all single drop orders of £200 or over, and on web orders £100 or over. All orders placed by the Buyer below £200 and on orders below £100 will be subject to a £12.50 or £7.95 carriage charge respectively. Where the Buyer requests a delivery to be made on an overnight service this will be subject to an additional charge. The Seller reserves the right to charge a supplemental carriage charge for certain large size Goods at the Sellers discretion irrespective of order values. The Buyer will be responsible for all transport costs on all orders delivered outside of the United Kingdom mainland for UK offshore and remote P.O.A. 8.3 Where a third party delivers the Goods to the Buyer the Seller shall not be liable for any loss caused to the Buyer as a result of any action of a third party. 8.4 All orders received from Ireland customers will be carriage paid if in excess of €500 (GBP450). For orders under this a €15 (GBP12-50) charge will be added. Please note that irrespective of order size there will be a supplementary charge for all Grit Bins and for 80 litre to 240 litre Wheelie Bins of €10 each. For wheelie bins in excess of 240 litre POA. 9.1 The Buyer shall inspect the Goods immediately upon delivery. A signature on a carriers delivery advice sheet shall be deemed to signify the receipt of the quantity of Goods indicated on the advice sheet. 9.2 The Buyer shall within 3 days of delivery notify the Seller of any alleged defect, damage or failure to comply with description or sample. The Buyer shall afford the Seller an opportunity to inspect the Goods within a reasonable time following delivery and before any use is made of them. If the Buyer shall fail to comply with these provisions the Goods shall be conclusively presumed to be in accordance with the contract and free from any defect or damage and the Buyers shall be deemed to have accepted the Goods. 9.3 If the Goods are not in accordance with the contract for any reason the Buyers sole remedy shall be limited to the Seller making good any shortage by replacing such Goods or, if the Seller shall elect, by refunding a proportionate part of the price. 9.4 The Seller’s liability to the Buyer whether for any breach of contract or otherwise shall not in any event exceed the price and the Seller shall be under no liability whatsoever for any direct loss and/or expense or indirect loss and/or expense suffered by the Buyer or liability to a third party incurred by the Buyer. 10.1 The Goods shall be at the Buyers risk as from delivery. (b) No other sums whatsoever are due from the Buyer to the Seller. 10.3 Until title in the Goods passes to the Buyer in accordance with clause 9.2 the Buyer shall hold the Goods and each of them on a fiduciary basis as bailee for the Seller. The Buyer shall store the Goods at no cost to the Seller separately from all other Goods in its possession marked in such a way that they are clearly identified as the Sellers property. 10.4 Notwithstanding that the Goods or any of them remain the property of the Seller the Buyer may sell or use the Goods in the ordinary course of the Buyers business at full market value for the account of the Seller. Any such sale or dealings shall be a sale or use of the Sellers property by the Buyer on the Buyers own behalf and the Buyer shall deal as principal when making such deals or dealings. Until property in the Goods passes from the Seller the entire proceeds of sale or otherwise of the Goods shall be held in trust for the Seller and shall not be mixed with other money or paid into any overdrawn bank accounts and shall be at all material times identified as the Sellers money. 10.5 The Seller shall be entitled to recover the price plus VAT notwithstanding that the title in any of the Goods has not passed from the Seller. 10.6 Until such time as title in the Goods passes from the Seller the Buyers shall upon request deliver up such of the Goods to the Seller as have not ceased to be in existence or been sold. If the Buyer fails to do so the Seller shall be permitted to enter upon any premises owned, occupied or controlled by the Buyer where the Goods are situated and repossess the Goods. On the making of such requests the right of the Buyer under clause 10.4 shall cease. 10.7 The Buyer shall not pledge or in any way charge by way of security for any indebtedness any of the Goods which are the property of the Seller. Without prejudice to the other rights of the Seller if the Buyer does so all sums whatsoever owing by the Buyer to the Seller shall forthwith become due and payable. 10.8 The Buyer shall insure the Goods and keep them insured to the full amount of the price against all risks to the reasonable satisfaction of the Seller until the date the property in the Goods passes from the Seller and shall whenever requested by the Seller produce a copy of the policy of insurance. Without prejudice of the other rights of the Seller if the Buyer fails to do so all sums whatsoever owing by the Buyer to the Seller shall forthwith become due and payable. 10.9 The Buyer shall promptly deliver the prescribed particulars of this contract to the company’s registrar in accordance with the Companies Act 1985 Part XII 2006 part 25. Without prejudice to the other rights of the Seller if the Buyer fails to do so all sums whatsoever owed by the Buyer to the Seller shall forthwith become due and payable. 11.1 The Buyer may only cancel orders with the prior written consent of the Seller. The Seller reserves the right to refuse cancellation of orders in all situations and in particular in the case where Goods are ready for collection or where the Goods are ready to be dispatched to the Buyer, or have been dispatched to the Buyer. The Seller further reserves the right to refuse cancellation of any order where the Goods are in the process of manufacture or where the Goods have been ordered to specific requirements by the Buyer. 11.2 The Seller will not accept return of Goods where such Goods have been correctly supplied to order to the Buyer. The Seller may voluntarily agree to a return of Goods but this will only be with the Sellers consent and the Seller will not in any event be obliged to accept the return of Goods. Where such a return of the Goods is voluntarily accepted by the Seller there will be a handling charge of 25% of the purchase price on crockery and 20% of the purchase price on all other products. The Seller also reserves the right to charge carriage costs on the return of any Goods and in any event it will be the Buyers responsibility to return all Goods free from defect to the Seller where the Seller has voluntarily agreed to accept the return of the Goods. 11.3 No return of Goods will be accepted by the Seller at its warehouse without a prior authorisation number having been given by the Seller. 13.1 These conditions are subject to law of England and Wales. 13.2 If any term or provision in these conditions shall in whole or in part be held to any extent to be illegal or unenforceable under any enactment or rule of law that term or provision or part to that extent shall be deemed not to form part of these conditions and the enforceability of the remainder of these conditions shall not be affected. If any such deletion materially effects the interpretation of these conditions the parties shall use their best endeavours to negotiate in good faith with a view to agreeing a substituted provision that as closely as possible reflects the commercial intention of the parties. Any notice under or in connection with these conditions shall be in writing and shall be served by first class recorded delivery at the address of the party set out in this contract or to such other address as may be subsequently notified by one party to the other. Save for the Buyers obligation of payment under clause 3 both parties shall be released from their obligations due to any act of god, fire, flood, drought, extreme weather conditions, compliance with any law, or other circumstances beyond the reasonable control of either party.